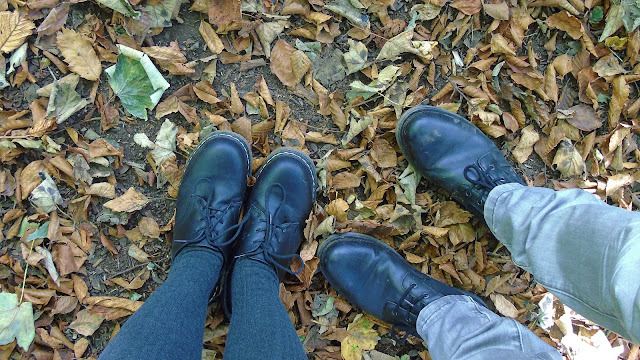 This is my first post in my #BecomingABlogger series that I'm going to start on my blog! In this series of posts I will be giving tips, tricks and guides on how to make you blog the best it can possibly be! Don't get me wrong, I wouldn't say I'm a professional blogger but I would say I know my fair share after being part of the community for 2 years now. This first post is going to be all about the process of setting up your blog get getting started, so why not take a look if you're interested in becoming a blogger or you're already a blogger! If you're becoming a blogger you need to know what you want to talk about. The best thing is that it doesn't even have to be the same type of post every time, I class myself as a Fashion, Beauty and Lifestyle blogger but there are plenty of other options out there! You just need to state what kind of posts will be prominent in your blog so your audience knows what to expect. TOP TIP: Choose a subject that you're passionate about because it shows through in your writing and also makes your writing super duper easy and fun! If you intend to set up a blog you need to know about the different platforms out there that you could pop your blog on! There are loads out there like Blogger/ Blogspot, Wordpress and Tumblr. I personally use Blogger/ Blogspot because it's easy to use, its customisable and I find it works for me, you might want to do a bit of research before you pick your platform. 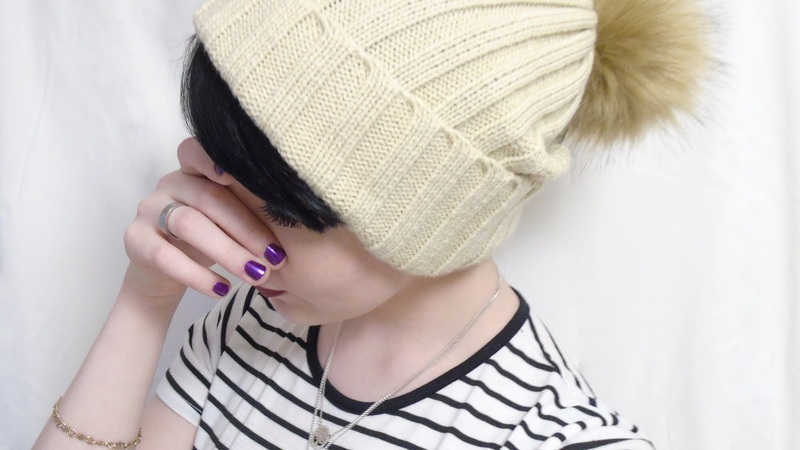 Your blog name is how people know you online, it is your blogs online identity and it's important to love your blog name and not want to change it for the foreseeable future, especially if you're just starting out. If you change your blog name loads its very inconsistent and can be annoying for people to keep up with, you can keep it simple with your name or mix it up and have something subject specific, just make sure you keep it for a while or people will be confused and won't be able to keep up! A great idea I have seen floating around since I started blogging is to compile a few posts before you actually start putting your blog out there. I wish I'd have had this idea when I started, this meant that when people click on your blog there is more than just one post and it allows people to get to grips with your blog and who you are as a person! I mean let's be serious, are you more likely to follow a blog if it has one post or a few more? I know who I would follow. TOP TIP: Don't forget to tag your blog post with things that are relevant to it, that way it's more likely to show up in browsers and it makes your blog easy to search if you have a search bar! The last tip on this post is definitely that you have to be yourself. The best way to build a connection with an audience is to not put up a front or put on an act, just be you! It's realllly freaking easy to tell when people aren't being themselves when they're writing so it's really not worth it. 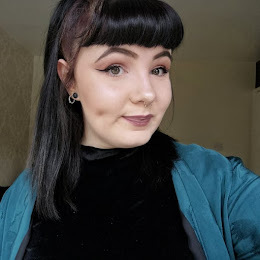 Hope I helped a little bit, this is only the first post of many so keep up to date and to see the other posts in this series pop Becoming A Blogger in my search bar! What's your blog URL? leave it in the comments! I have been a big fan of Hearts and Gems jewellery for quite some time, every time their jewellery popped up on my Instagram feed I was more than happy to click on their profile and have a mooch. Obviously when I got offered to feature some of their stunning products on my blog, I leapt at the opportunity! They sent me 3 really sweet pieces of jewellery. 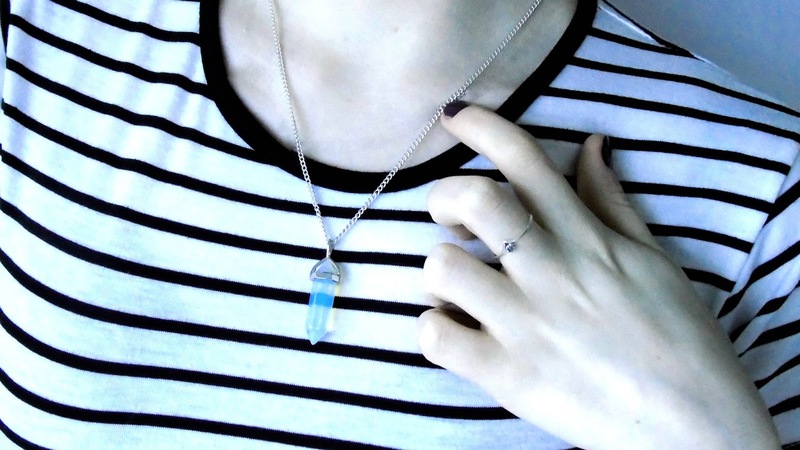 The one kind of necklace that I fall in love with time and time again has to be crystal point necklaces. 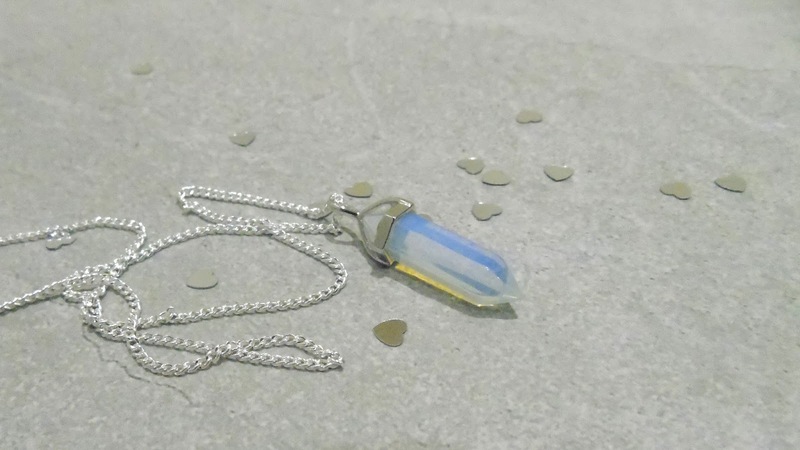 I love every point necklace under the sun and I already have an amethyst one but when I saw this opalite one on the Hearts and Gems Instagram page I fell hopelessly for it because it was a bit more interesting than clear quartz and needed it in my jewellery collection. The chain and casing for the necklace are both silver plated making it perfect for me because I am not a massive fan of gold jewellery. This ring is defiantly in my top 5 favourite rings that I own, the main bit of the ring is simple and thin, with a point in the middle. 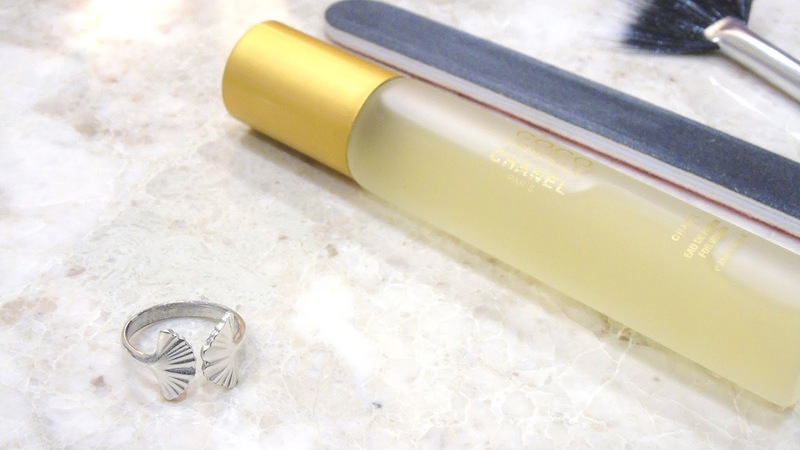 Underneath the point there is a small and delicate round moonstone that adds a bit more femininity to the ring. 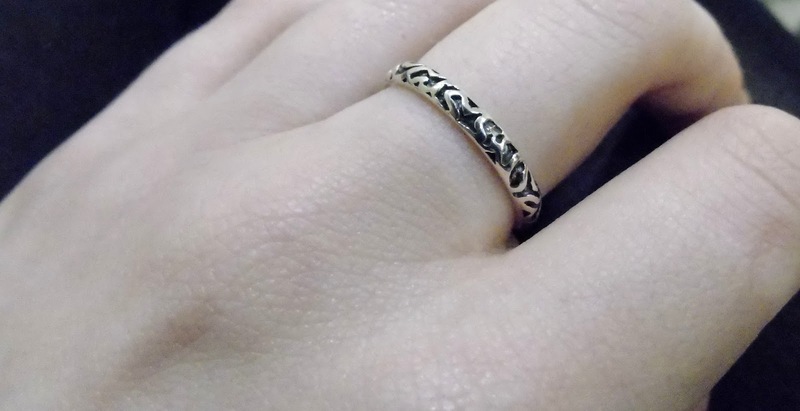 It’s made out of starling silver meaning I can wear it every day without fail and it won't turn my finger green after wearing it for a few hours! 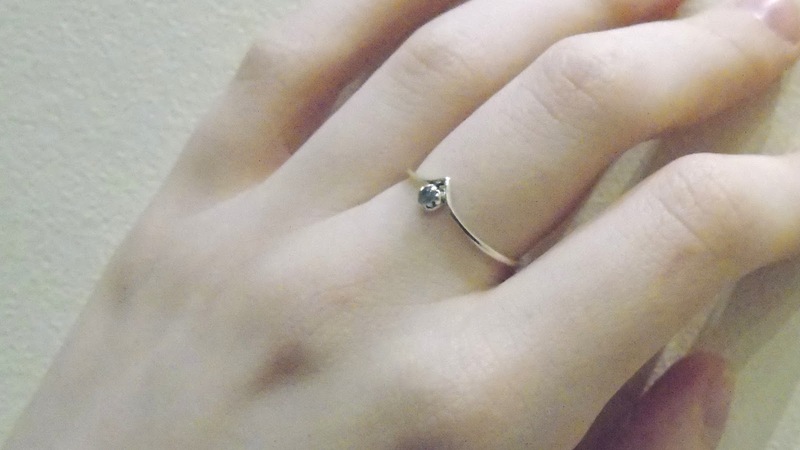 Such a dainty little ring, perfect for accessorising outfits that have a lot going on! I asked Hearts and Gems to send me a surprise as my last item and much to my delight they sent another sterling silver ring. In my opinion you can never have too many rings, it’s not like they take up much space so why not start a collection! 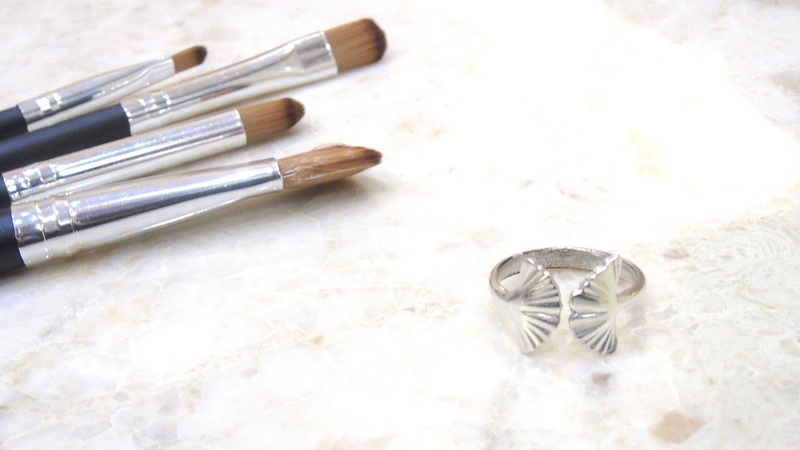 This ring is absolutely stunning but also very simple, around the face of the ring there is small little engravings that add texture and shadows to the ring, as it's not a statement piece you can stack others on top of it to give it a cool BoHo feel! 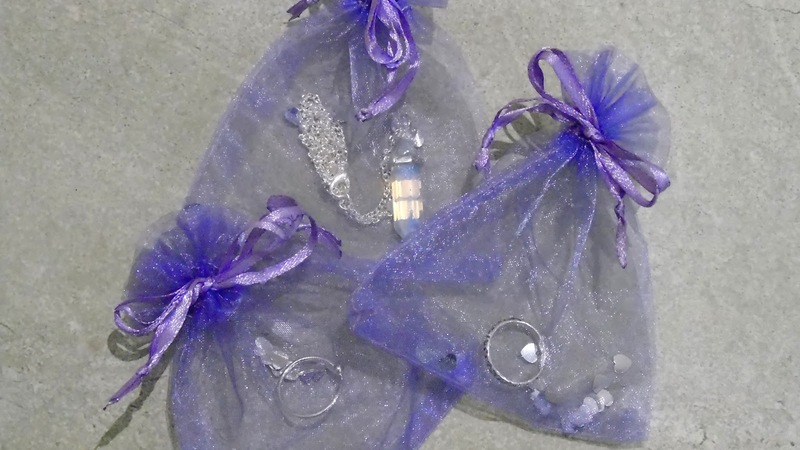 I want to thank Hearts and Gems for sending me such stunning and good quality pieces. If you are looking for any jewellery whatsoever, whether it be an event or you just want to treat yourself to a few everyday items then this shop should definitely be one of the first places you peruse! The quality and price of the product can not be questioned! What's your go-to jewellery for every day? I love this time of year, everywhere has sales, even the online shops that have sales anyway but this time of year, they’re twice as big. I have a new found love for online shopping at the moment, especially on BooHoo, as you will know if you are one of the amazing people follow me on twitter. When I was most recently surfing the internet for cute products at minuscule prices I stumbled across 3 T-shirts that I looked at and thought “I NEED THESE IN MY LIFE WITH £1.99 NEXT DAY DELIVERY.” And so, I bought them. This top is another white top with black detailing, but this time it’s a small piece of text on the left breast of the t-shirt. The words simply say “Not your babe”. One of my pet peeves is when people who don’t even know me call me babe, there is an extensive list of examples, such as bus drivers, shop assistants, bouncers and creepy peeps on the street. I simply HAD to buy it at £5. The final top of this mini haul is the exact opposite of white, black. This is a simple t-shirt with a slogan printed on the front in big, white, capital letters. It simple reads Fashion is my second favourite F word (my first, of course, is food. Duh).But seriously I thought this t-shirt was perfect for me, I saw it online, giggled and then simply clicked add to basket without a second thought. I thought this was a brilliant everyday shirt for when you’re at home/ college/ uni or simply just running errands, definitely worth £6. For Christmas I got some really amazing Lush products from my family, as you will know if you follow me on Twitter. I am a massive fan of lush and I thought I would show you all what I got considering I did a poll and you said you wanted to see this! I got the cutest little box filled with 6 different products! 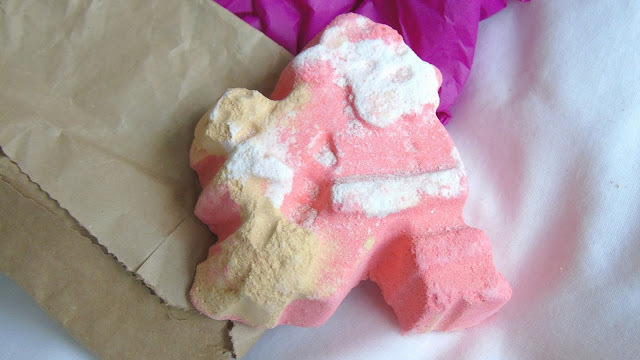 The first product was the Dashing Santa Bath Bomb, this is shaped like Santa with his sack of presents. The colour of the bath bomb is bright red and the scent is satsuma/ clementine or I would describe it as a light orange scent. The second product in the box is Candy Mountain, this is a bubble bar the claims to make mountains of bubbles in your bath. It certainly lives up to this claim, you literally need to crumble small amounts of this bar into each bath to get tonnes of sweet scented bubbles! I also got the Yoga Bomb which is supposed to be very good for relaxation. 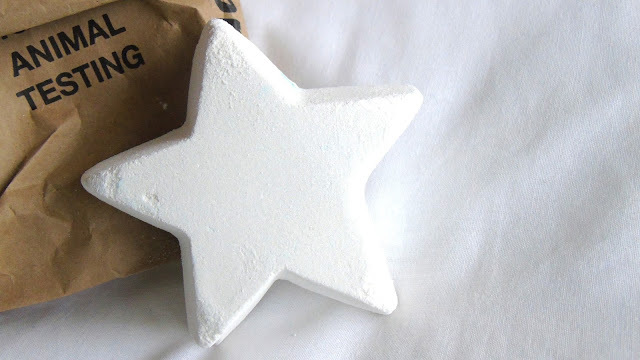 This has a very woody and natural smell which is also very soothing and uplifting, I can not wait to get a nice hot bath with this one, might even light a few candles too! It is bright orange in colour and about the size of an orange too. 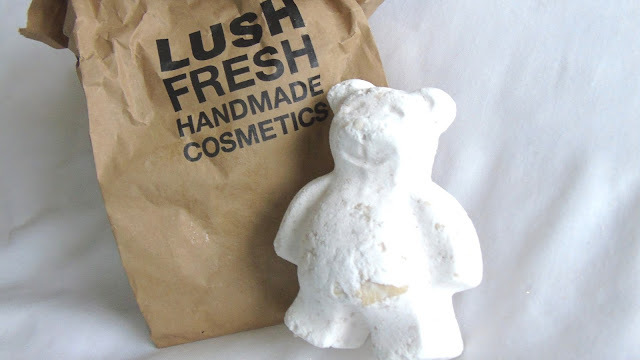 The next bath bomb I got is a really cute little guy, Butterbear. This is a small white bath bomb in the shape of a teddy bear. 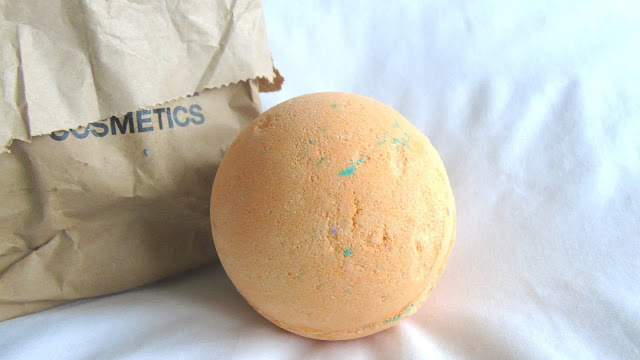 The scent is vanilla and it includes cocoa butter to soften and moisturize the skin during your bath! He’s so cute! 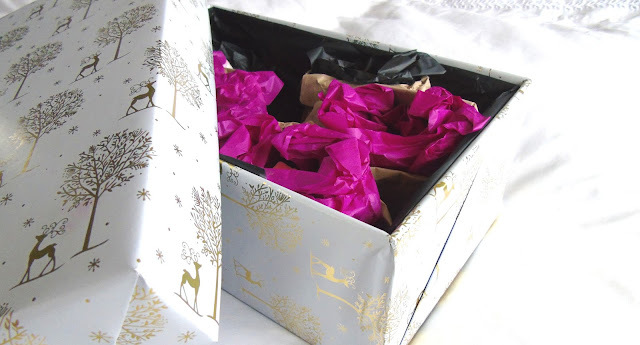 Tisty Tosty is a Lush favourite of mine and I get it every time I shop in lush so I was over the moon to receive it in my little box of goodies. 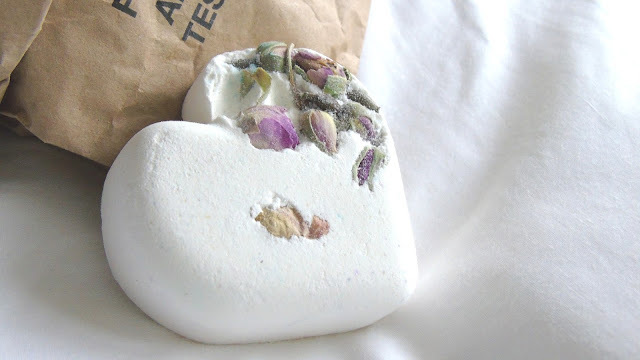 This is a bath ballistic, it is in the shape of a heart, this has a very floral and light scent and has rose petals in it that float in your bath when you pop it in! 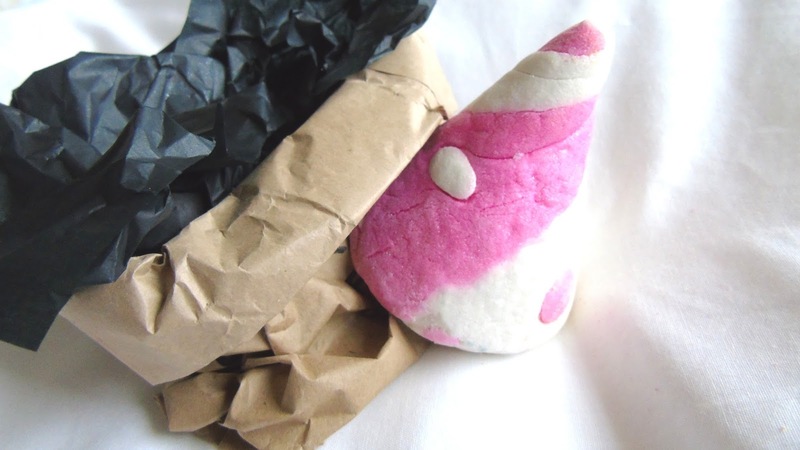 And finally I got the Star Dust bath bomb. This is a star shaped white bath bomb that looks like it has a little surprise inside due to it being bright blue! It smells absolutely amazing and I wish I could buy this all year round but unfortunately you can not due to it being a festive special. I am definitely looking forward to using this! Wow. 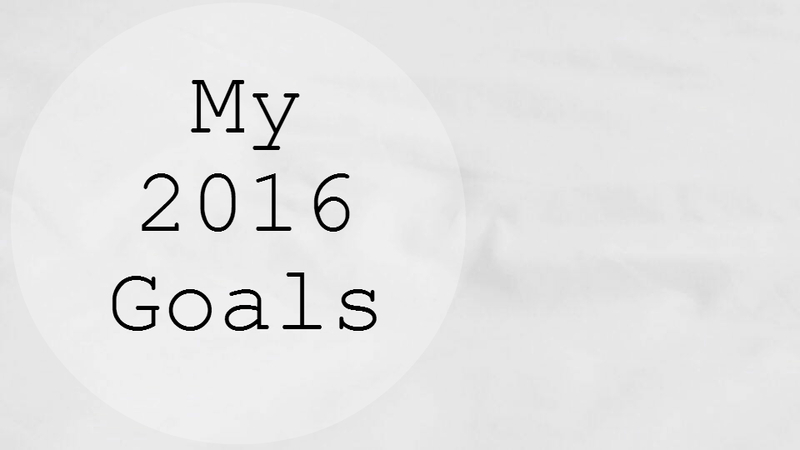 I can not believe that we are in 2016 already, I swear it was only the other day I was starting this blog and writing my first post! The past year has flew by and I took hardly any notice of the days disappearing. This post is going to be a list of all the things I hope to achieve over the next year!